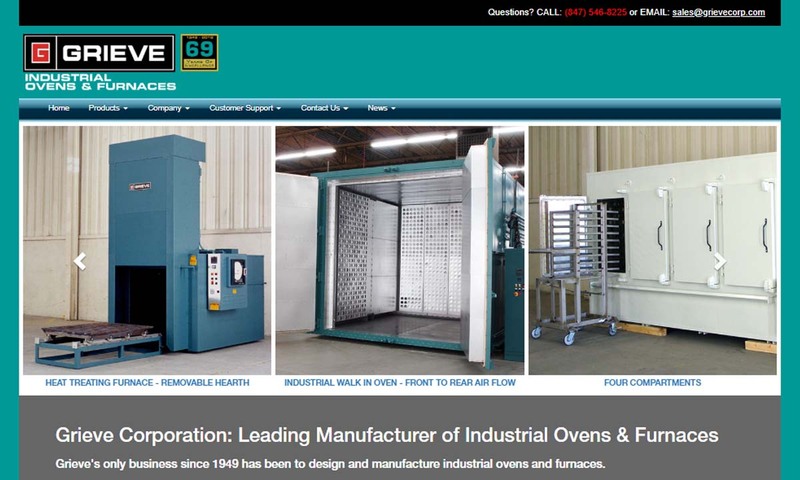 A reliable source for Industrial Ovens Manufacturers information and a resource for accessing leading Industrial Ovens Manufacturers and suppliers. Industrial ovens are thermal processing machines that provide various applications with the very important process of heat treatment. During this process, heat speeds up the molecular activity inside an object. Inside solid objects, molecules are arranged in lattices that vibrate from the heat, while in gases, these molecules collide. This activity changes the properties of the object it is heating, and strengthens it. Industrial Ovens Industrial ovens are thermal processing machines that provide various applications with the very important process of heat treatment. During this process, heat speeds up the molecular activity inside an object. Grieve’s only business since 1949 has been to design and manufacture industrial ovens and furnaces. 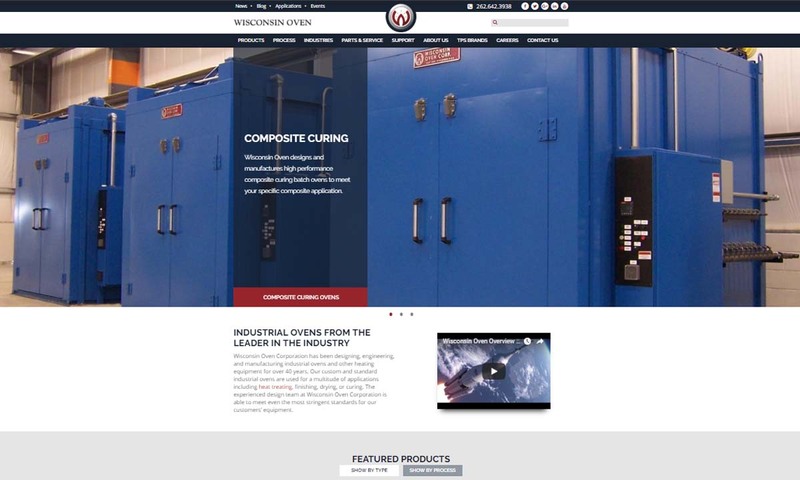 Use our depth of knowledge and experience when you require an oven or furnace for powder coating, curing, baking, drying, stress relieving, and more. Get the BEST! 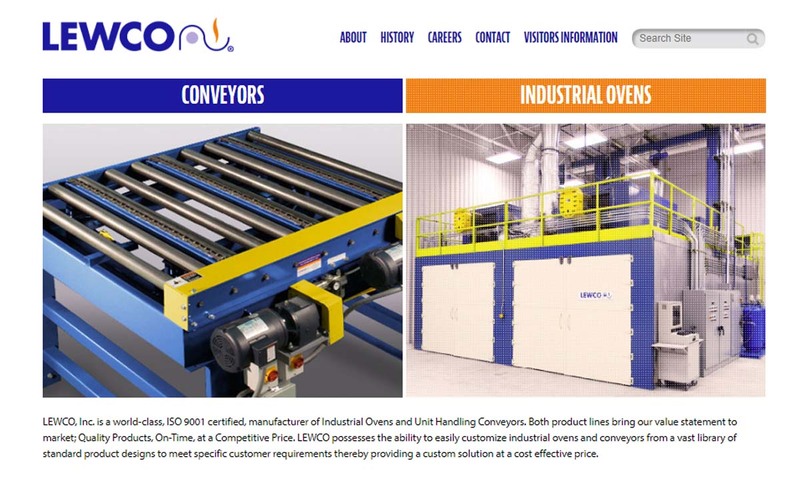 LEWCO's line of Industrial Ovens set the industry standard for efficient process heating. An ISO 9001:2008 certified company, offering over 1,200 standard models, no other company has as broad a product offering as LEWCO. 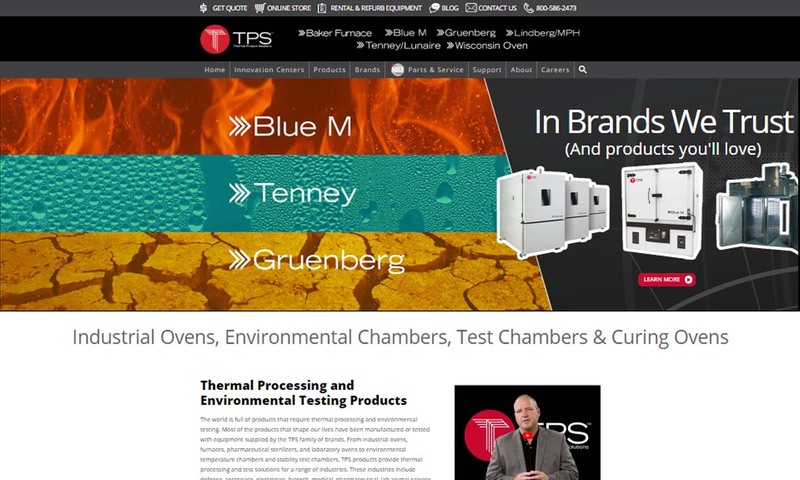 Through our superior performance Gruenberg brand and reliable, value priced Blue M line, TPS offers a range of standard and custom industrial ovens that reach as high as 1200 °F. Our industrial ovens provide an economical solution for a variety of industrial processes including but not limited to heat -treating, drying and curing. We have a wide array of sizes for you to choose from and there many customization options available. 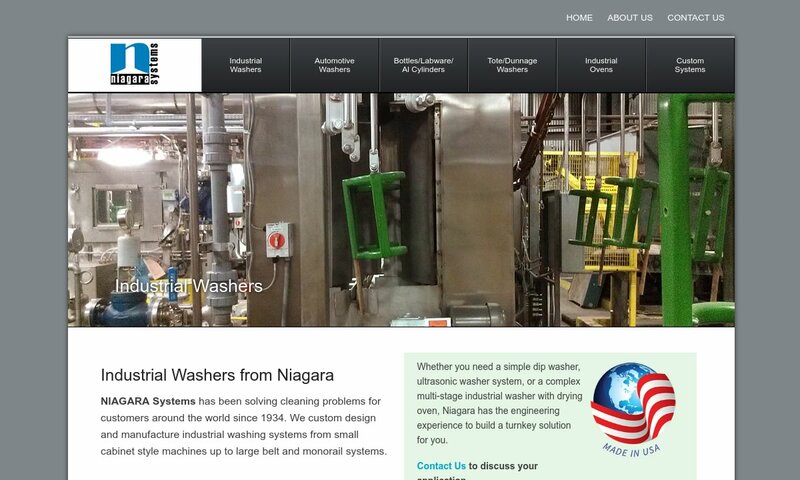 For over 80 years, Niagara Systems has excelled in building reliable automated washing and drying systems that have outshone the competition. We have experience providing these washing and drying systems for a multitude of industries, ranging from automotive to fish processing to musical instruments. Our industrial ovens are well known for being of high quality and excellent value. Our seasoned employees are committed to bringing you only the best customer service. 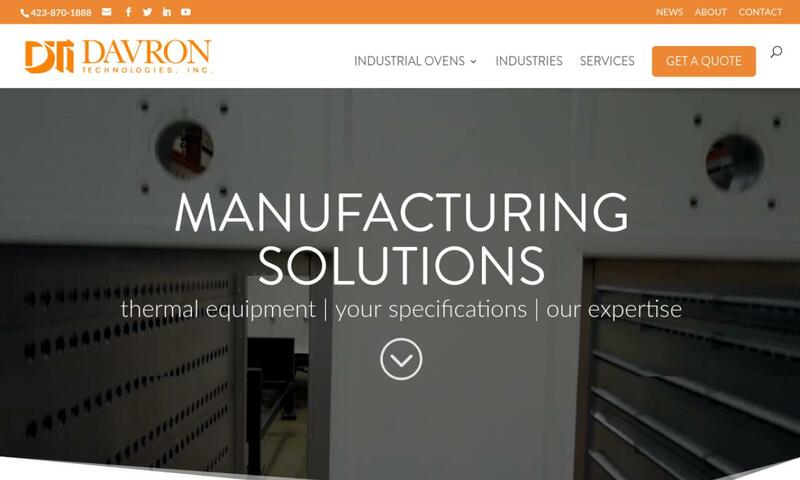 We make top-of-the-line industrial ovens for top-of-the-line customers! 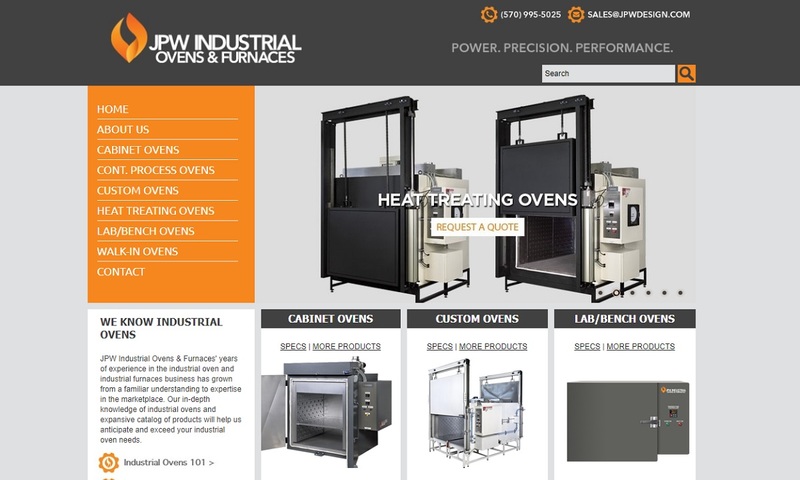 Here at JPW Industrial Ovens & Furnaces, we guarantee success with all of our products! Industrial ovens have a wide range of applications in countless industries, such as: manufacturing, electronics, food and beverage, medicine and healthcare, pharmaceuticals, chemical, research and development, plastics, aerospace, automotive and metalforming. Industrial ovens help make stronger metal products, more sanitary healthcare facilities and more versatile extruded polymer products. They are also used to treat products like steel coils, automotive parts, tubing, electronics, building materials, fuel cells, carpeting and textiles. In addition, laboratories use them to learn more about and refine industrial heat transference (laboratory oven). Such research leads to the reduction and elimination of heat transfer inefficiencies and the introduction of new heat treat applications. Specifically, they’re used to carry out processes including: sintering, curing and powder coating. Note: Sintering is the process by which large particles are created out a pile of small, fine particles via the application of heat below the melting point. The goal of curing is to solidify a material by heating and drying it at a constant temperature. By placing a product in a powder coating oven for two to 10 minutes, which may be either convection or infrared, the powder coating on a product melts and flows. After this, while it is still in the oven, the product is briefly exposed to ultraviolet light, which cures and hardens the finish. Ovens have been in use since at least 2900 BC in Central Europe. At that time, people used them in boiling and roasting pits to cook mammoths inside their yurts. Not long after, they updated their methods to include hot coal covered by ashes. Within 300 years, most settlements in the area used hearths to cook food and make bricks. Hearth-style brick ovens later evolved into kilns (introduced by the Greeks) for making pottery and bread. The next innovation replaced ceramic ovens and earth ovens with the fireplace and cauldron. Over the subsequent years, ovens were powered by various materials, including coal, wood, iron gas and, eventually, electricity. The big break for industrial ovens came during the Industrial Revolution. First, in the 1700s, Philo Penfield Stewart invented the Stewart Oberlin iron oven. This oven was smaller than earlier ones and featured a chimney for ventilation. During the early 1800s, manufacturers debuted coal ovens. Then, in 1826, James Sharp received a patent for the first gas oven. In 1922, Gustaf Dalen improved upon the gas oven with the AGA cooker, and in 1946, Percy Spencer came out with the first high-tech oven, the microwave. His was smaller, but today, microwaves and other high-tech ovens are both large and small for applications of all kinds. Industrial ovens work using heat and mass transfer, which can be accomplished with the help of radiant infrared heat, conduction or convection heat generation, or a combination thereof. Infrared radiation is the most efficient heat transfer method used by industrial ovens. Meanwhile, of all the heat transfer methods used by industrial ovens, natural convection is the simplest. During convection, the force of gravity triggers fluid circulation, which triggers the rise of heated molecules and the fall of cool molecules. Convection is achieved through the transmission of heat from one object to another via gases and liquids. Common gases include natural gas and propane gas. Conduction is a less popular form of heat transfer in which heat is first transferred to air inside an oven, which is then applied to a solid object and then spread through the object. While methods other than these do exist, they are not very efficient and are less frequently used. Infrared ovens conduct heat transfer with the help of electromagnetic radiation. Without heating air inside the enclosure, infrared ovens are able to transfer electromagnetic waves inside a tungsten coil directly onto a product. Convection ovens use either an electrified coil or a gas-fired heating element to provide consistent interior heating. This heating method is only suitable for small batches, because large batches will likely face uneven heat distribution, unless the oven enclosure has a fan to overcome this uneven distribution with better air circulation. Commercial convection ovens are often used for larger baking operations. Industrial batch ovens can be small and portable, or large enough to fill a room and permanent. They’re used to process materials in individual batches. They’re popular with commercial manufacturers who process an individual product in large groups, and with small industrial heat treat providers who benefit from their even heat application. Also known as cabinet ovens or walk-ovens, batch ovens can engage in a number of processes, including: curing, drying, annealing or aging. 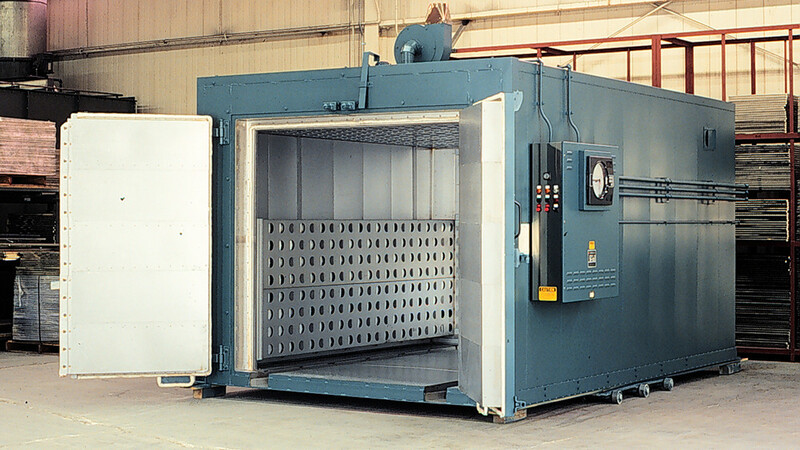 Some batch ovens also allow the atmosphere within their enclosure to escape, which eliminates the risk of a heat-treated metal suffering from surface oxidation. These type of batch ovens are called vacuum ovens. Continuous ovens, unlike batch ovens, can perform several applications at once. Equipped with separate warming and cool stations, they can perform thermal treatment processes quicker than other ovens. Continuous ovens are best for mass processes that require consistent thermal treatment. Conveyor ovens, which continuously move products through a heating chamber on an automated conveyor belt, are usually only used for large scale operations. This is because they are not cost effective unless manufacturers have a steady stream of products to feed into them. Despite their differences, both batch and continuous ovens may serve as sintering, heavy duty powder coating, drying or cure ovens. Drying ovens remove excess moisture from raw materials. They operate in a three-sequence process. The three steps are: heat-up, soak and cool-down. During heat-up, the substances inside the heater reach optimum temperature. During the soaking phase, the substance is left to soak in the heat for a predetermined period of time. Finally, during the cool-down stage, the hot air leaves the oven and is replaced by cold air. Drying ovens are ideal for sterilization, for the incubation of temperature sensitive experiments and for temperature testing. Tunnel ovens are tube-shaped ovens that heat raw materials as they pass through them. Said raw materials may enter the oven continuously or in batches via a conveyor belt. Tunnel ovens heat elements using different types of fuel, combined with the speed of the belt. These ovens are perfect for cooking food, especially meat and baked goods. Burn-off ovens, also known as heat-cleaning ovens, clean items by burning off contaminants and coatings. Examples of the substances they remove include: varnish, paint, grease, epoxy, oil and bonded rubber. Burn-off ovens are useful in the cleaning and decoating of automobiles and other machinery. No two custom ovens are alike, but in general, industrial ovens feature the following components: a motor to power the system, a duct distribution network for ventilation, exhaust and recirculation fans, purge timers, flame controllers and burners. Every model oven is different, so we can’t tell you for sure how to make yours work. However, we can offer some guidance. First, let’s cover installation. Before you install your oven, you need to pick a location. The installation location should be somewhere it will be protected from damage by high temperatures, mechanical damage, vibrations, etc. Don’t install your oven directly against the wall. Also, if your cabinet is made of stainless steel, which it mostly likely is, you need to level it with a shim. The shim supports the oven when it expands. (Stainless steel expands when it burns.) Also make sure your installation site has adequate ventilation. Finally, make sure that you install and use your oven in accordance with all relevant standards, specifications and codes. If you feel uncomfortable installing your industrial oven yourself, do not hesitate to reach out to your supplier with questions or a request for professional assistance. There are many reasons to love industrial ovens. These include: air flow efficiency, speed, durability, consistency, easy temperature management and cost effectiveness. Air flow efficiency means that the temperature disperses even throughout any device you place in the oven. Air temperature uniformity ensures a smooth heating performance, which is critical part of most machine functions. Industrial ovens quickly generate heat waves without expending too much energy.  This allows manufacturers to complete many tasks within a short period of time. Because most industrial ovens are made from stainless steel, they are durable, exceptionally reliable and high performing. Industrial ovens ensure easy temperature management and a decreased likelihood of uneven temperature distribution. While different types range in price, it is relatively inexpensive to get an industrial oven. In addition, because industrial ovens are so reliable, they prove to be excellent investments. When designing an industrial oven, manufacturers consider a wide variety of factors. First, they consider the application(s). Does it need to be food grade, or is it for manufacturing equipment? Different applications inform how the machine should work, how it should be powered (gas, electric) and its temperature requirements. If you wish, your manufacturer can customize your oven to fit your task. Because they work with heat, gas, etc., it’s very important that your industrial oven be up to code and safe. One of the main set of standards used for this in the USA are those put out by the NFPA (National Fire Protection Association). NFPA specifications outline ways for industrial oven manufacturers and consumers alike to avoid hazards during construction, installation and use. 1. Always wear the sufficient protective gear. The right gear will keep you from directly inhaling gases and from have skin contact with hot parts or fire/gas/electrical parts. 2. Make sure that your heating compartments are sealed, so that if there is a spill or something boils over, it won’t spread easily. 3. Use ducts made from non-combustible materials. 4. Regularly inspect ovens in accordance with safety standards and manufacturer recommendations. 5. Regularly lubricate moving parts. 6. Never leave oven unattended. Where do you find the right manufacturer, and how do you know when you’ve found them? First, find a list of reputable sources. Scroll up just a little bit on this page, and you’ll have completed step one already! We’ve waded through the muck for you in order to find those industrial oven companies that are the most experienced and reputable. We’ve listed them, along with profiles, on this page. Set some time aside and browse their individual profiles and websites. Look for companies that offer services and products that match your needs. Pick out three or four about whom you’d like to learn more, and then reach out to each of them with your specifications. When you talk to talk to them, make sure they offer services including: standard certifications, factory testing and troubleshooting, delivery services, installation services and after-installation maintenance support. Once you’ve found “the one,” call or email them again and get started.